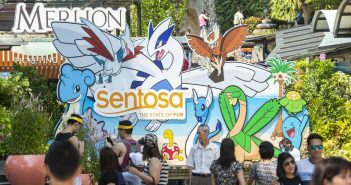 Malaysia is Singapore’s closest neighbour and chances are you have been across the border if you are a Singaporean. However, most of us probably have only visited West Malaysia and not East Malaysia. Malindo Air recently launched its inaugural flight to Kota Kinabalu in Sabah, East Malaysia. 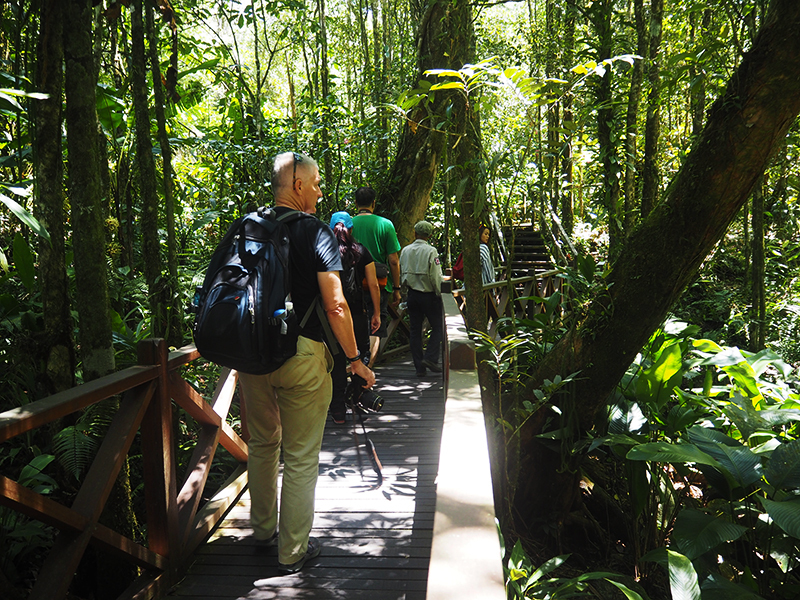 We took a trip with them and discovered the charms of East Malaysia and that it has something for everyone. 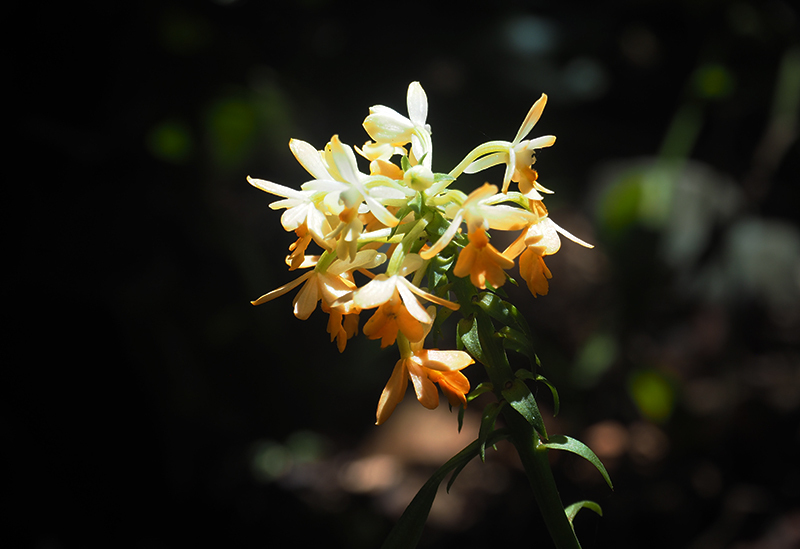 Named Malaysia’s first UNESCO World Heritage site in 2000, Kinabalu Park is probably one of Mother Earth’s most important biological area because it is home to more than 5000 plant species – more than all of Europe and North America combined! At 1,800m above sea level, the weather was chilly as compared to the heat I experienced in the city — a much welcomed respite, if you ask me. 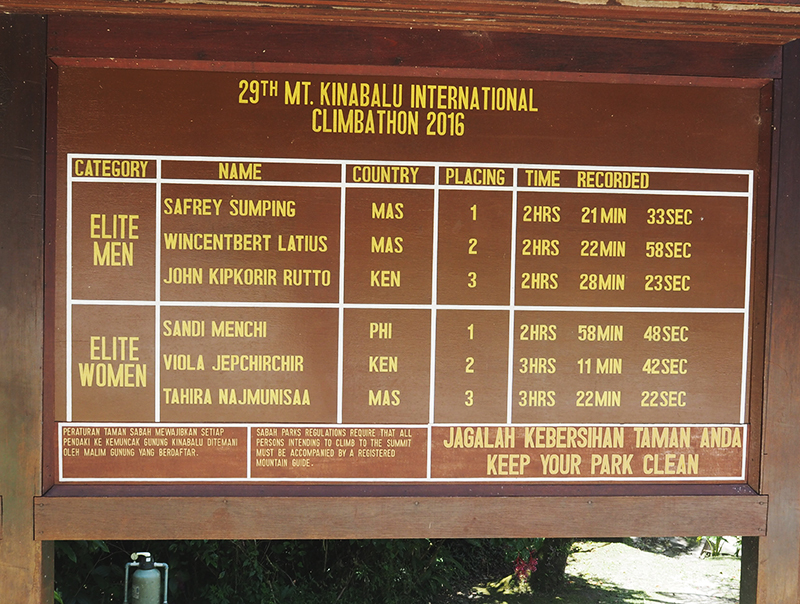 The Timpohon Gate at Kinabalu Park is the entrance to the peak of Mount Kinabalu. 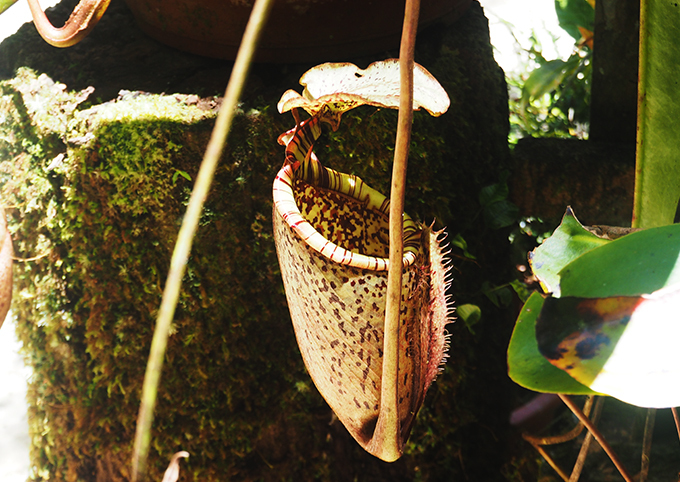 For the less adventurous, you can take a walk along the few trails within the park’s Botanical Garden to explore the best of nature’s flora and fauna. 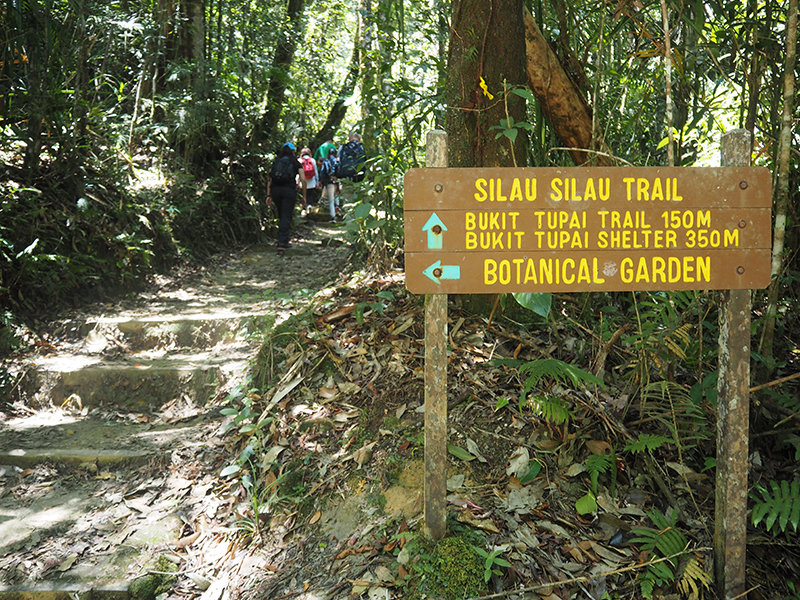 Pekan Nabalu is located in the highlands midway to Kinabalu Park. The picturesque views, coupled with the local handicraft and food markets, makes Pekan Nabalu an extremely popular pit stop among locals and tourists alike. It is the ideal place to take that landscape or panoramic photo with Mount Kinabalu in the background. 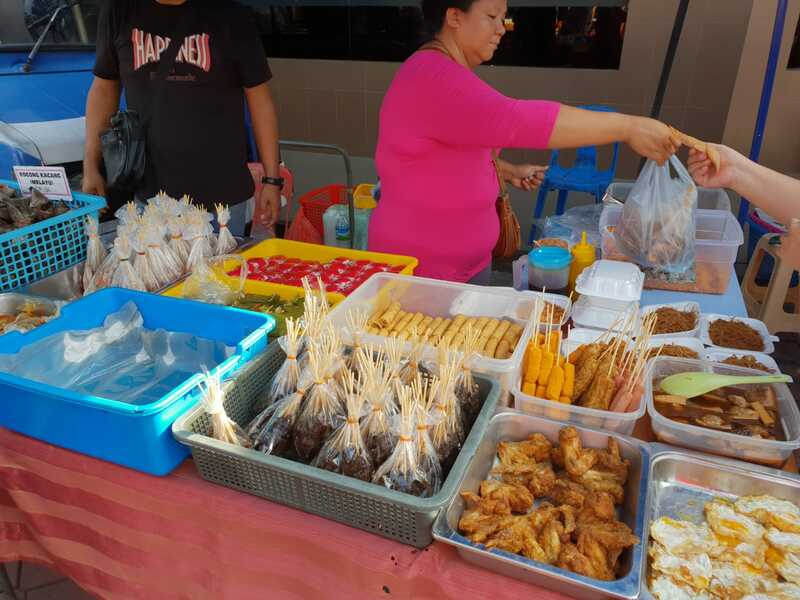 Do not forget to try the street food and grab some souvenirs! Looking at Desa Dairy Farm, one would be forgiven for forgetting they are in East Malaysia. Due to its landscape and the presence of Holstein Friesian cattle, the farm is often referred to as Sabah’s “Little New Zealand”. Desa Dairy Farm is a local brand that produces nearly one million litres of fresh milk annually, only available in the domestic market. (Sorry, you can’t get it in Singapore.) 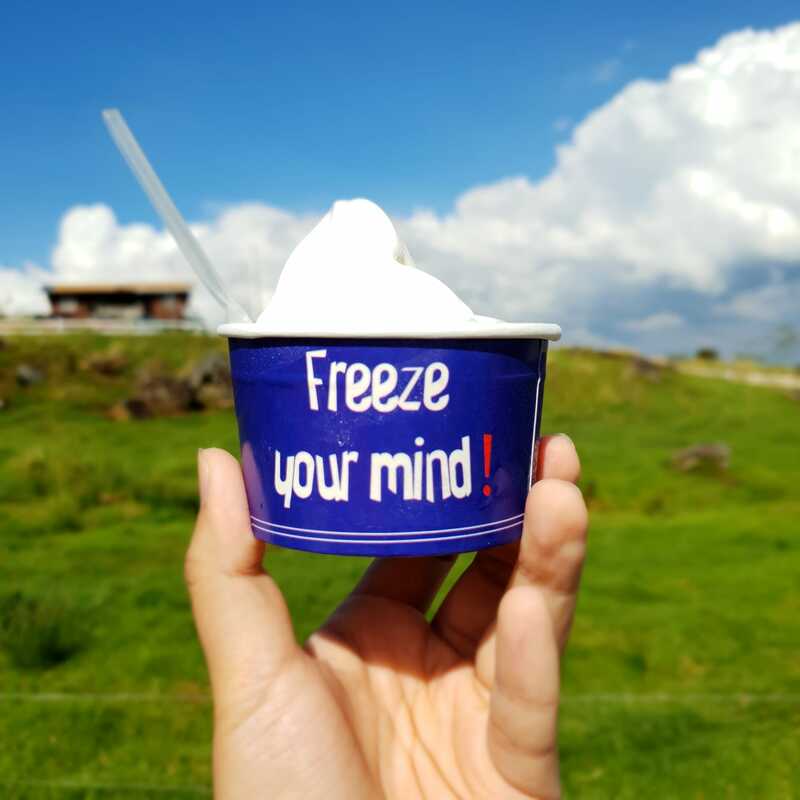 Located in Kundasang area at the foot of Mount Kinabalu, the farm is a half-hour journey from Kinabalu Park or two-and-a-half-hour journey from Kota Kinabalu. Other than the panoramic view of the amazing grassland that provides bountiful photography opportunities, Desa Dairy Farm also lets you get up close with the cows and goats. 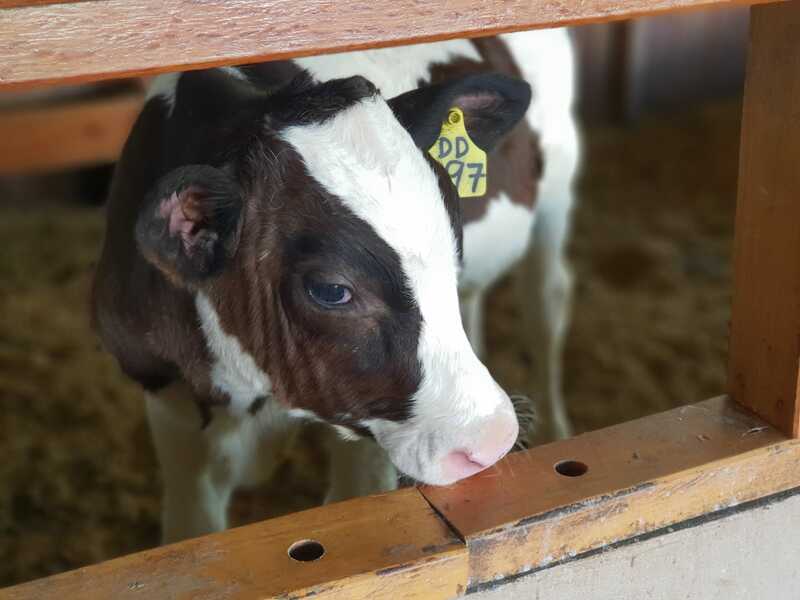 Visitors can feed grass to the calves at the calf pen, observe the milking process, visit the processing plant or simply watch the animals from a viewing bay. It’s definitely a place that will please both adults and children. There are also shops selling dairy products such as fresh milk, ice cream and yoghurt, as well as souvenirs to bring home. What’s a holiday without some shopping, right? 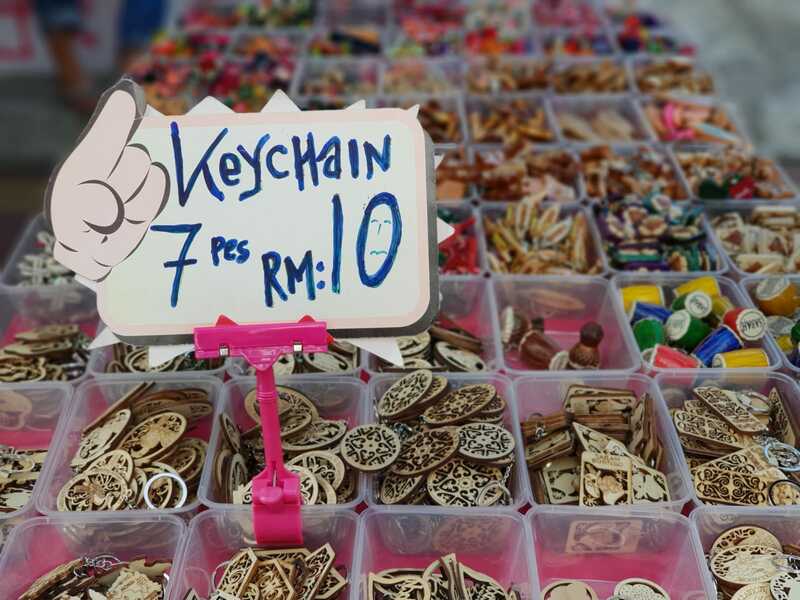 Well, here your best bet is probably Gaya Street Sunday Market – the most famous street market in Kota Kinabalu. Every Sunday morning, Gaya Street is closed to traffic for a flea market. There is an amazing array of items on offer, from food, handicrafts, perfumes, homemade soap, pets to even a plant to grow your own durian tree. The rows of shophouses next to the market are also open. You can find Sabahan food, such as the iconic Sang Nyuk Mee (noodles with fresh pork slices) for a good Sunday breakfast. 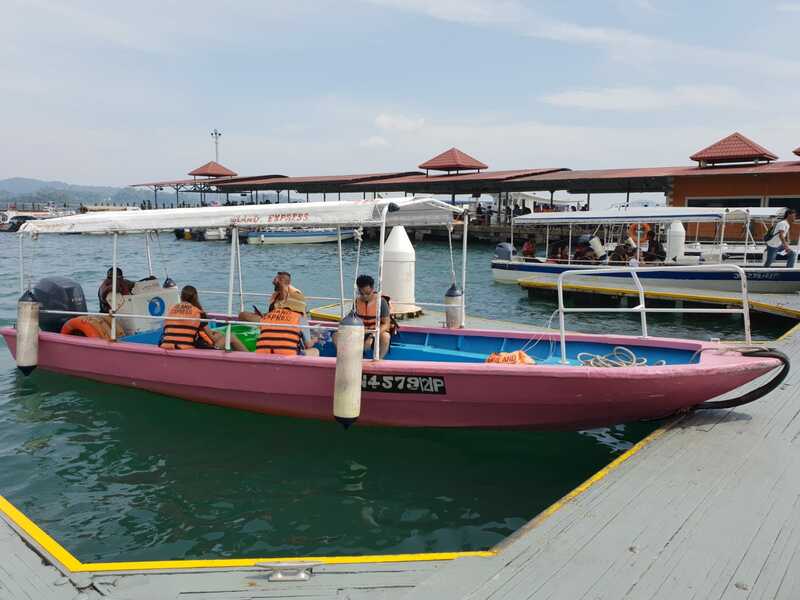 Jesselton Point, the gateway to the Tunku Abdul Rahman Park (TARP) Islands – a group of islands northwest of Kota Kinabalu – is a short 10-minute walk from the market. The TARP Islands is the perfect getaway from the busy city life, and accessible by a 15-minute speedboat ride. 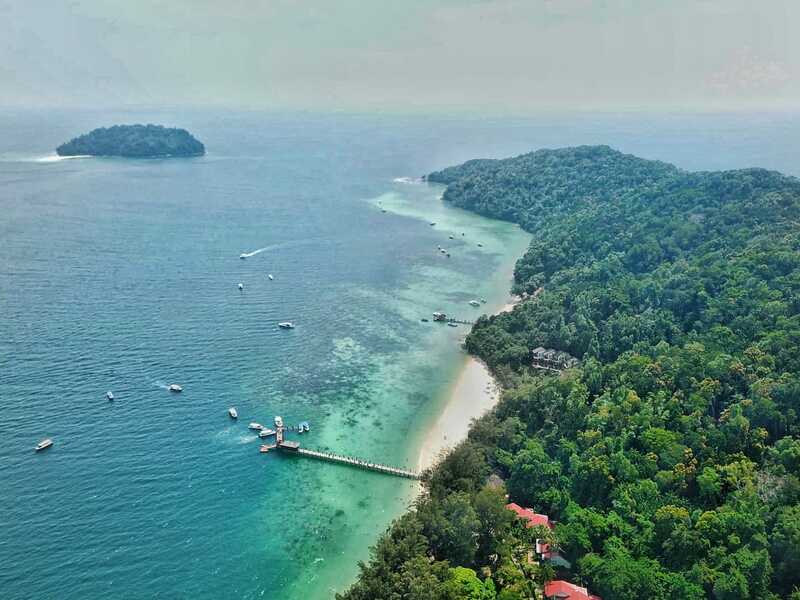 Coral Flyer is a zipline that connects Gaya Island, the biggest island of the group, with Sapi Island. The 30-second island-to-island thrill ride rewards the adventurous with a fantastic view of the ocean. 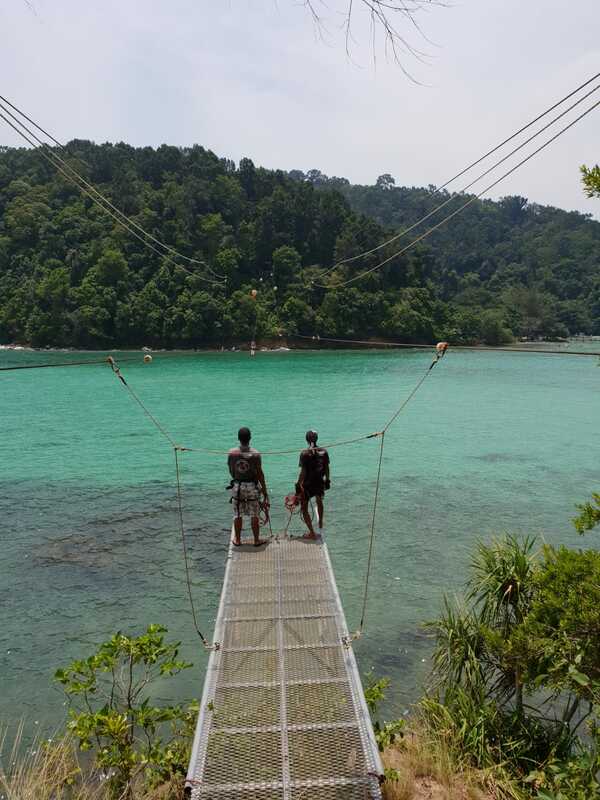 As I ziplined across, I could even see fishes and corals beneath the clear turquoise water! My only gripe? I wished the zipline ride was longer. My island hopping led me to Manukan Island, the most developed and most popular destination among the TARP Islands. It houses a resort, a handful of restaurants and bars, and has facilities in place for water activities, such as snorkelling, diving and parasailing. Its shallow water and pristine white sandy beach spanning 1500 metres make it the ideal picnic area for families. One can never get tired of sunsets. 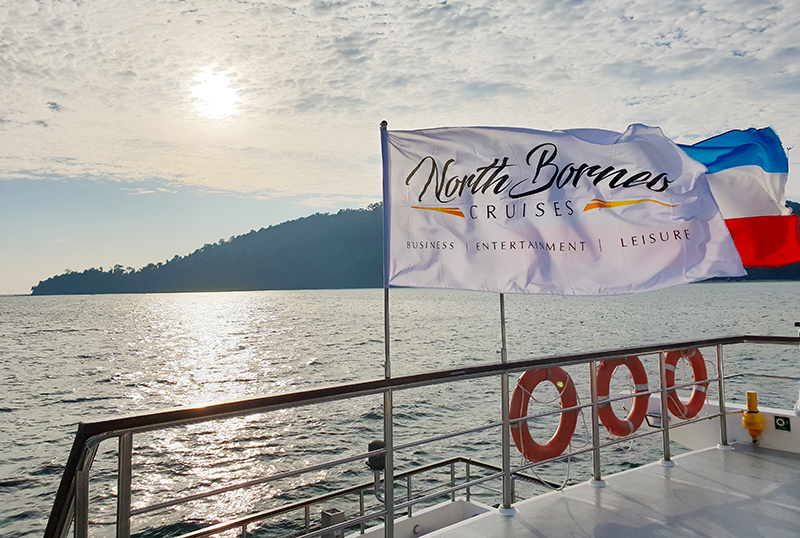 And, the best way to admire a sunset at Kota Kinabalu is probably onboard a two-hour sunset cruise with North Borneo Cruises. 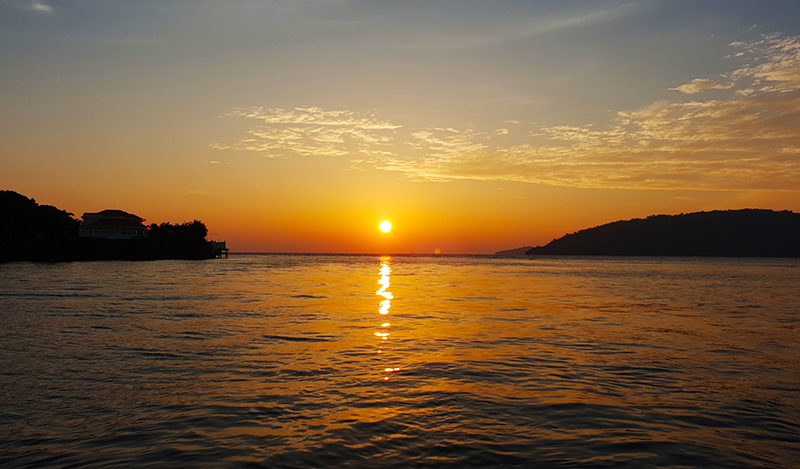 We set sail from Sutera Habour towards the TARP Islands, near the colourful water villages of Gaya Island. You can enjoy an international buffet while being entertained with a live band performance, or head up to the upper decks to enjoy the sea breeze. It was an enchanting evening as the ship cruised along the city’s waterfront and into the golden sunset. Not into sunsets? There is a second cruise catered to those who prefer to seek the stars in the night. 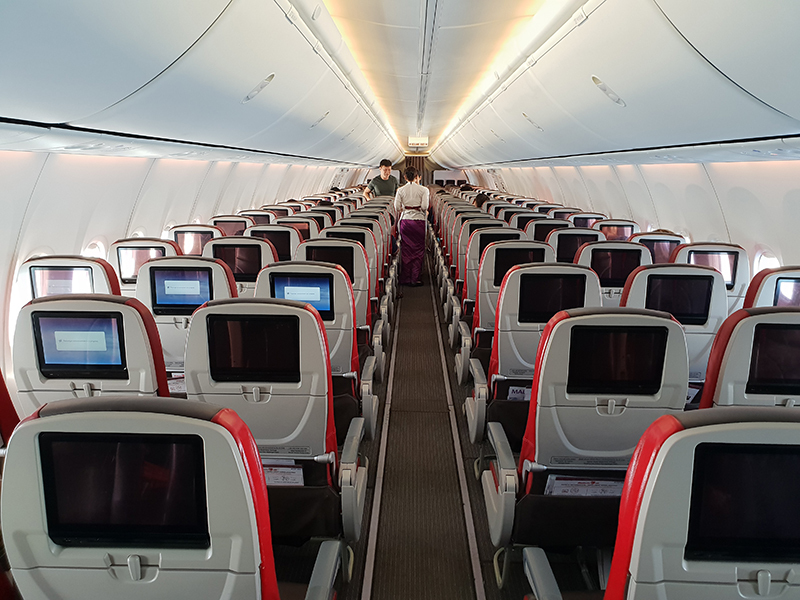 Malindo Air flies once a day from Singapore to Kota Kinabalu, with baggage allowance of 25kg for economy and 40kg for business class passengers. Inflight entertainment and meals are provided on board, and with seat pitches of 32″ for economy and 45″ for business class. 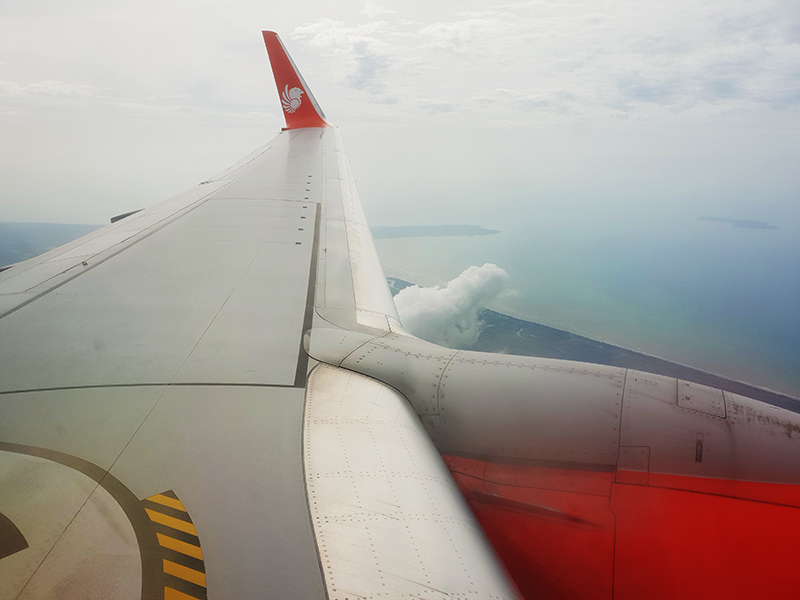 Malindo Air offers the perfect combination to travellers looking for both comfort and value. 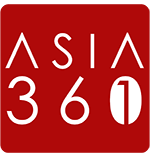 Fares to Kota Kinabalu from Singapore start from S$99 one way. For more details, visit malindoair.com. What a pleasant heads up, updating us on current offerings from Kota Kinabalu. The Sunday Market on Gaya Street looks like a colourful space for visitors and locals to interact or trade. Look forward to reading more of your stories.